The petitioner claimed before the court of justice Chakraborty that the tests done during various stages of her pregnancy showed that the brain of the foetus is underdeveloped. KOLKATA: The Calcutta High Court on Monday directed the termination of 25-week-old pregnancy of a woman, who petitioned it for aborting the foetus owing to its development. 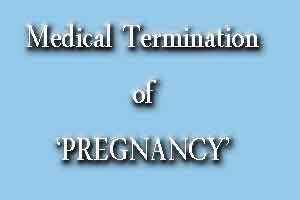 Considering the report of an aborting which was in favour of termination of pregnancy of the woman, justice Tapabrata Chakraborty directed that the woman would be admitted at the state-run Institute of Post Graduate Medical Education and Research (SSKM Hospital) Tuesday morning for the procedure. The court had on Friday directed the woman to appear before the medical board Saturday for examination. Considering the urgency as the woman is 25 weeks pregnant, justice Chakraborty had directed the West Bengal additional advocate general to submit the report of the board on Monday. The board, comprising heads of different departments at the premier government hospital, gave its report in favour of termination of her pregnancy. Petitioning the high court, the woman sought permission to terminate her pregnancy since tests of the foetus showed that its brain was underdeveloped. The court had on Friday noted that test reports showed that the brain condition of the foetus was such that there was every possibility of the child being abnormal on birth. It also noted that the report said the continuance of pregnancy may be fatal to the petitioner. Additional advocate general Abhratosh Majumdar had told the court that on a request from the central government to constitute permanent medical boards for such purpose in all the states, the West Bengal government has formed such a board at the premier referral hospital IPGMER. The board consists of doctors from the departments of gynaecology, paediatrics, neurology, pathology, radiology, pulmonology and genetics, Majumdar submitted. The 32-year-old woman approached the high court on Thursday seeking permission to terminate her pregnancy owing to an anomaly in the formation of the foetus. The reports also showed that the condition of the foetus was deteriorating, her lawyer Amitabha Ghosh submitted before the court. According to the Termination of Pregnancy Act 1971, permission of the high court is required for undergoing an abortion if the foetus is more than 20 weeks old, Ghosh said. According to the act, a medical board is required to be formed to examine the case and give its opinion to the court on whether to allow the termination of pregnancy or not. Ghosh submitted that a gynaecologist had on December 26 prescribed immediate abortion in view of the condition of the foetus. On January 7, the woman was examined by another specialist doctor who told her that permission of the court be sought for abortion, he said. The woman is a resident of south Kolkata, West Bengal. Her husband works in a private company, Ghosh said. Where is the need to terminate the baby❓The mother could have been encouraged to carry the baby to term & allow nature to take its course.The mother would have been helped in the grieving process.